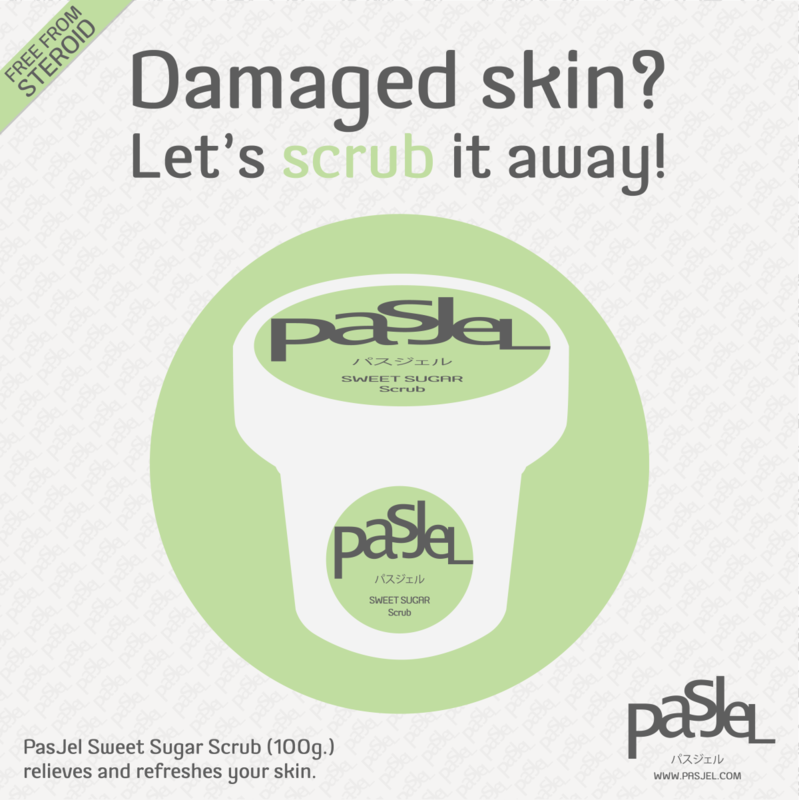 Home :: BODY :: SCRUBS/WASH :: Pasjel Sweet Sugar Scrub 100g. 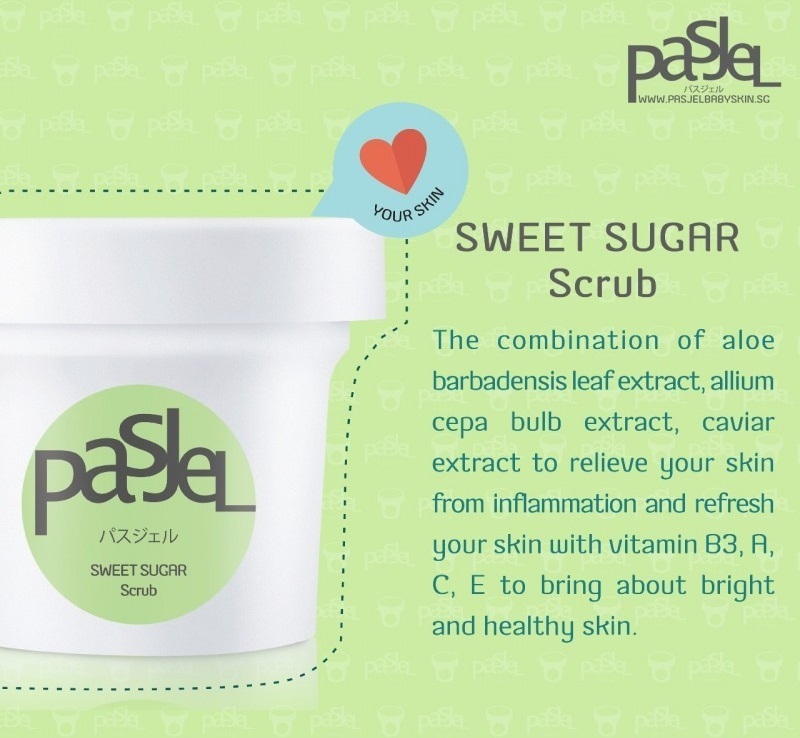 Pasjel Sweet Sugar Scrub 100 g.
The combination of aloe barbadensis leaf extract, allium cepa bulb extract, caviar extract to relieve your skin from inflammation and refresh your skin with vitamin B3, A, C, E to bring about bright and healthy skin. 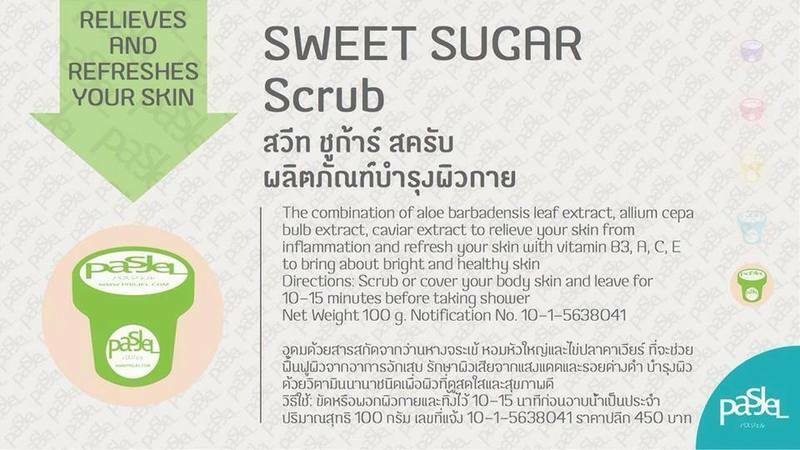 Scrub or cover your body skin and leave for 10-15 minutes before taking shower. No steroid or dangerous ingredients.